Is it time to reveal one more mentor, and we are very proud and happy to announce that it is the one and only …. Marzia is a Building Engineer, Strategic BIM Advisor at Mace and a PhD Candidate at Politecnico di Milano. Having plenty of experience both in research and in practice, Marzia is a big part of the international BIM Society- a member of BIM Excellence Initiative, Assistant Editor and Italian Language Editor of the BIM Dictionary, member of the Italian Organization for Standardization (UNI) CT 033/GL 05 and the European Committee for Standardization (CEN) TC 442 working groups on Building Information Modelling, UK BIM Alliance and mentor at the BILT Academy. Currently also the leader of the Task Group on LOD at the European Committee for Standardisation CEN TC 442 WG2 coordinating experts from 11 countries, worked as BIM researched at VTT (Finland), ITC-CNR (Italy), and presented her work in BIMLUX in Luxembourg, Digital Construction Brussels, ICEBIM in the UK, BIMAarhus in Denmark and BIMtecnia is Spain. 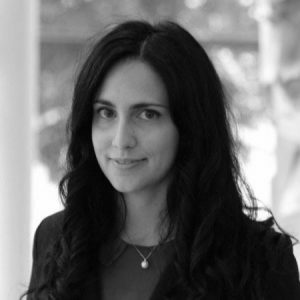 Marzia has felt highly motivated to be a mentor at BILT Academy since the very early days- believing that communication in a community, sharing of knowledge and education is a great way to go when talking about BIM implementation. As a person who spent a lot of time herself in the university and received plenty of mentoring and guidance, Marzia believes that students should use the opportunity to meet highly skilled professionals and colleagues, learn best practices at international level and familiarise themselves with international affairs in AEC fields. After all, Marzia is highly grateful for all the help she has received and simply cannot wait to give back to the future generation of professionals. Don’t wait to kick off your knowledge in BIM now and join Marzia for her workshop! When we talk about BIM, there are three important parts- technology, process and policy. Technology is widely used every day and it is easy to find tutorials, but how about policy and process? During the workshop Marzia will discuss the ‘other two’- process and policy fields. How important is process and policy field? What is the document process, regulations and standards on an international level? What is a BIM Execution plan and how to create it? The workshop will focus on examples from different countries, the students will get an opportunity to work on a BIM Execution plan together with Marzia, understand the structure and most important parts of it and review it together.